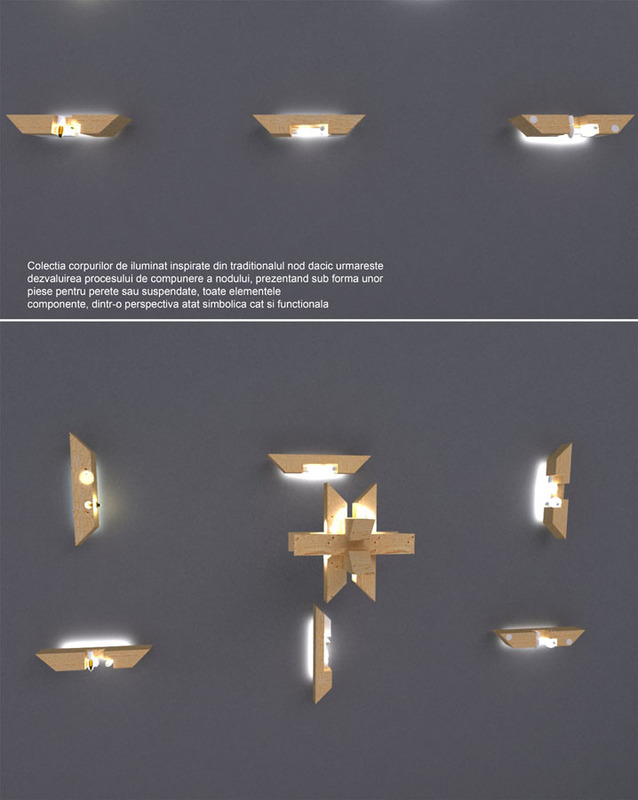 Knot Lamp was created for a interior design project of a traditional house in Hunedoara, Romania. The project was developed together with our friends from Sezi. 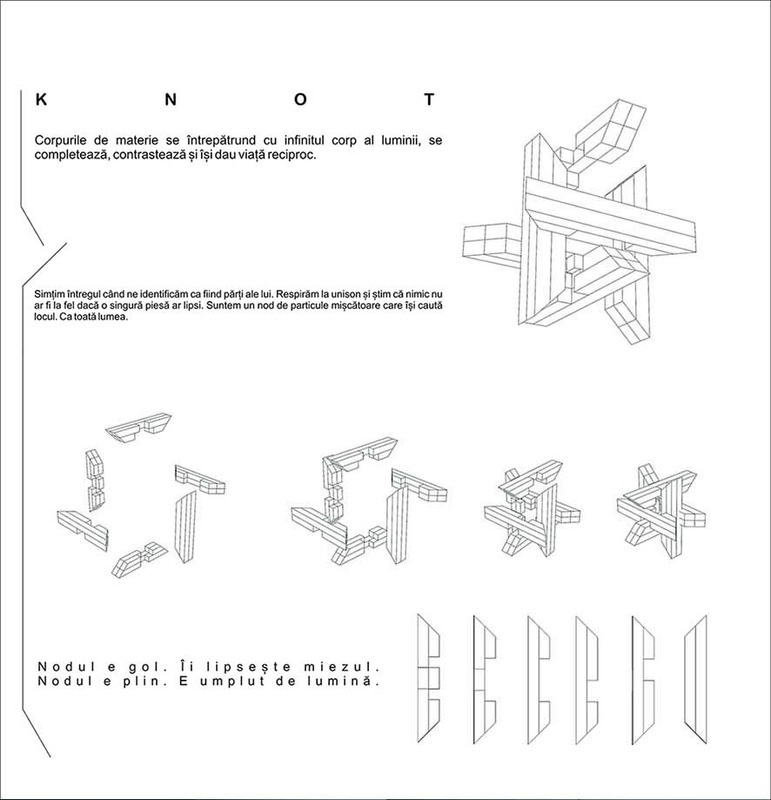 The concept of the lighting set up in the main room of the house was inspired by a sculptural object named " dacic knot" - a carpenter's enginering sculpure. We transformed it in a lighting objects and integrated it in a collection with several pieces from the same composition. 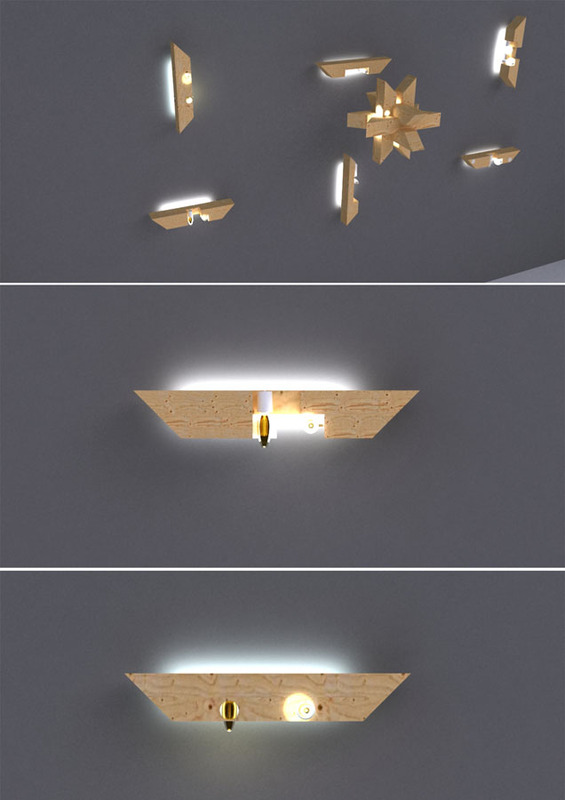 The collection is made from the central piece, which is the central one and 6 more wall lamps.